Brigadier (Ret.) 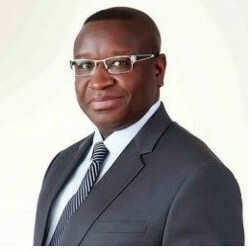 Julius Maada Bio was born on 12 May, 1964 in Tihun, a rural town in Sogbini Chiefdom, Bonthe District, in the Southern Province of Sierra Leone. In 1984 he graduated from the prestigious Bo School for Boys. He holds a Masters Degree in International Affairs from American University in Washington D.C. In 1985 Bio joined the Republic of Sierra Leone Armed Forces as a cadet at the Military Training Academy in Benguema, on the outskirts of Freetown. He graduated from the military academy as a Second Lieutenant in October 1987. In 1988 he was stationed at the Lungi Garrison in Port Loko District. In 1990, Maada Bio, Strasser and Solomon Musa were deployed as part of the Sierra Leone contingent of an ECOMOG Peacekeeping Force sent to Liberia. A year later Bio and other members of the Sierra Leonean Army previously in Liberia were deployed to Daru Army Barracks in Kailahun District as a part of a 600-man battalion of soldiers to squash an insurgency by Revolutionary United Front. On April 29, 1992, Maada and six other soldiers successful overthrew the APC government of President Joseph Saidu Momoh. The National Provisional Ruling Council (NPRC) ruled Sierra Leone from 1992 to 1996. In the NPRC Bio was Deputy Head of State from 1994-Jan 1996. On January 16 1996 Bio led a coup that oust Valentine Strasser who had served as Head of State when NPRC took power in 1992. Bio’s tenure as Head of State was just 3 months long. When he left power he resigned from the Sierra Leone Army. He later migrated to the US where he lived for about a decade and continued his education. 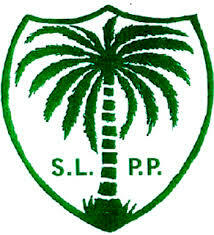 In 2005 Bio officially became a member of the Sierra Leone People’s Party (SLPP). That same year, he ran for the leadership of the Sierra Leone People’s Party (SLPP) at its national convention in Makeni and came in third. In 2008 Bio established Tropical Farms Ltd, a cocoa and coffee production company. In 2013 Agiterra acquired over 1000 hectares of farmland belonging to Bio’s TFL. In July 2011 Bio was elected as the SLPP’s presidential flag bearer for the 2012 elections. He won 37% of the votes and lost the elections race to President Ernest Bai Koroma of the ruling APC. Since the 2012 election, Bio has become an active and powerful force within the SLPP. In 2014 Bio launched the Maada and Fatima Bio Foundation. The foundation provides educational subsidies for disadvantaged children, skills training, and enterprise development programs for deprived women and youths. They also provide basic healthcare services in needy communities and support rural community agricultural development programs. In September 2017 at the SLPP convention in Freetown, Maada Bio was elected to lead the party as flag bearer in the 2018 presidential election. Bio is also married with four children. Really,Brigadier (Ret.) Julius Maada Bio, is the right man of the day because he has all what sierra Leoneans are looking for. He is discipline and know what the sierra Leone people wants. He needs to be given a chance to show himself as man of the day.